This module has three integrated buttons for horn- and lamp acknowledgement and lamp test. Each CM also comes with an integrated potential-free collective-, group- and horn output. The alarm LEDs can be labelled using insert strips. 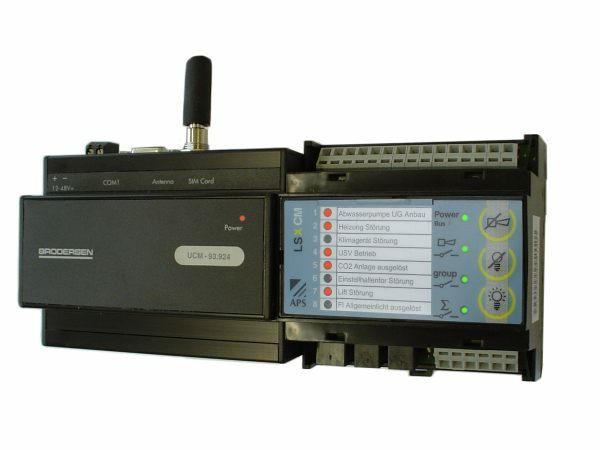 A modem (analogue- or GSM),a log printer or a Panelmodule PM can be connected to the CM. 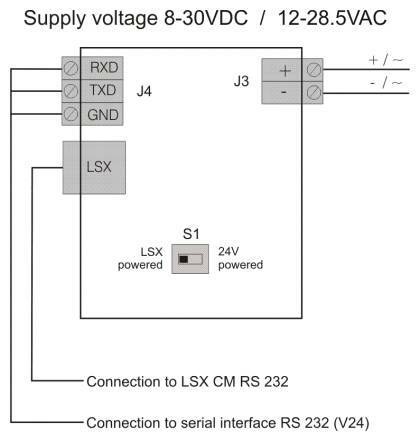 Add-on module with an additional 8 inputs, identical to the CM, except does not have a communication interface. .
Output module with 8 freely-programmable relay outputs. The relay status is indicated via the LED on the front of the device. The module also has an integrated lamp test button. 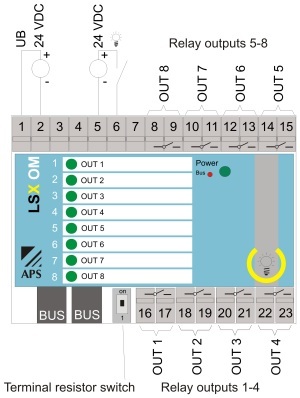 The alarm LEDs can be labelled using insert strips. 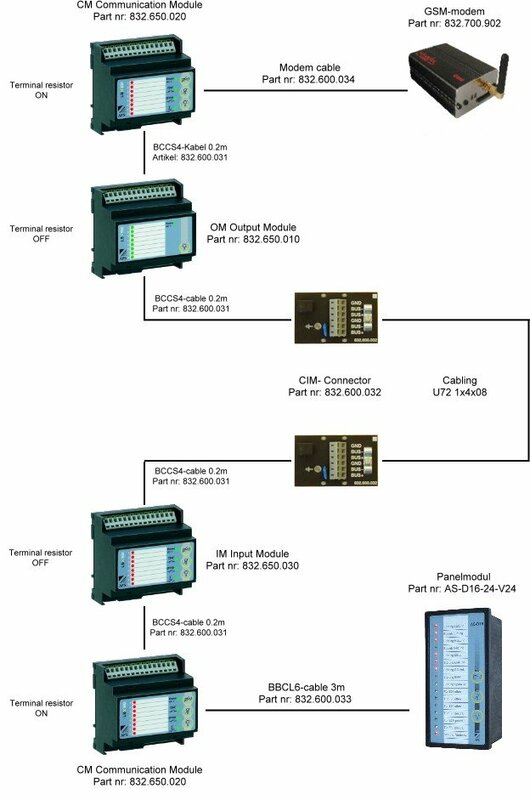 The panel module PM is used as remote display with 16 channels. It is directly connected to a communication module CM. 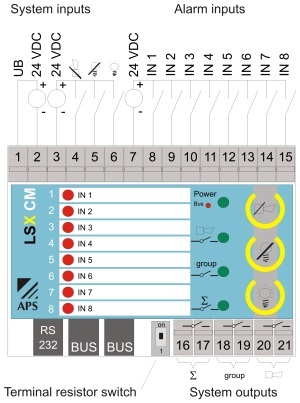 The panel module PM shows automatically the information from the connected communication module and if installed, the communication- or input module with the next higher bus address. UCA-AM Antenna with magnetic base, GSM dual-band with 2m connection cable for GSM modem.